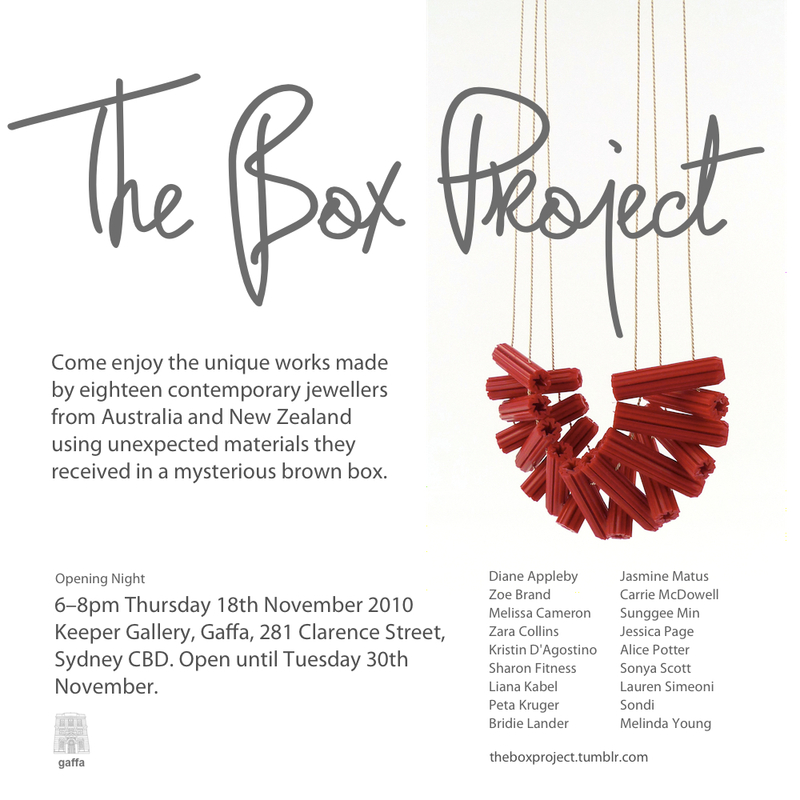 Come enjoy the unique works made by eighteen contemporary jewellers from Australia and New Zealand using unexpected materials they received in a mysterious brown box. An unusual ear plug neckpiece, shuttlecock earrings and brooches sprouting living grass adorn Gaffa Gallery’s walls amongst many other delightful pieces. This entry was posted in the box project on November 9, 2010 by kristindagostino.